Many cancers may infiltrate the bone marrow, most common are carcinoma of the lung, breast, prostate, colon, and thyroid. In adults, malignant infiltration of bone marrow is most often seen in carcinomas of the prostate, breast, and lung, although any tumor that gives rise to blood borne metastases may infiltrate the marrow. In children, malignant infiltration of bone marrow is most often seen in neuroblastoma, rhabdomyosarcoma, Ewing’s sarcoma, and retinoblastoma. The bone marrow is one of the organs involved by tumors that metastasize via the blood stream. Disseminated cells from primary solid tumors are considered to be the cause of metastases formation and relapse of disease. Consequently, their detection is of high importance for staging, prognosis, and decisions about adjuvant therapy. In malignant infiltration of bone marrow, the blood count may be normal although pancytopenia may occur and there may be leukoerythroblastic blood picture. Malignant infiltration of bone marrow by the metastatic tumor may be focal or diffuse. Bone marrow aspirates and trephine biopsies are sensitive techniques for detecting bone marrow infiltration. Marrow aspirates may be difficult because of fibrosis and trephine biopsies should also be performed. Reticulin and collagen fibrosis are commonly present and are most marked in those cases with greater degrees of marrow infiltration. Marked fibrosis is most common in carcinomas of the breast, stomach, prostate, and lung. by performing bilateral biopsies or by obtaining a single large biopsy and therefore these two procedures should be regarded as complementary. The two primary sites whose identification is most important because of their sensitivity to hormonal therapy are breast and prostate. The detection of tumor cells in a trephine biopsy when none are demonstrable in smears of an aspirate is not uncommon. However, occasionally tumor cells are seen in aspirate smears when trephine biopsy is normal. A tendency to form clumps. High nuclear to cytoplasmic ratio. 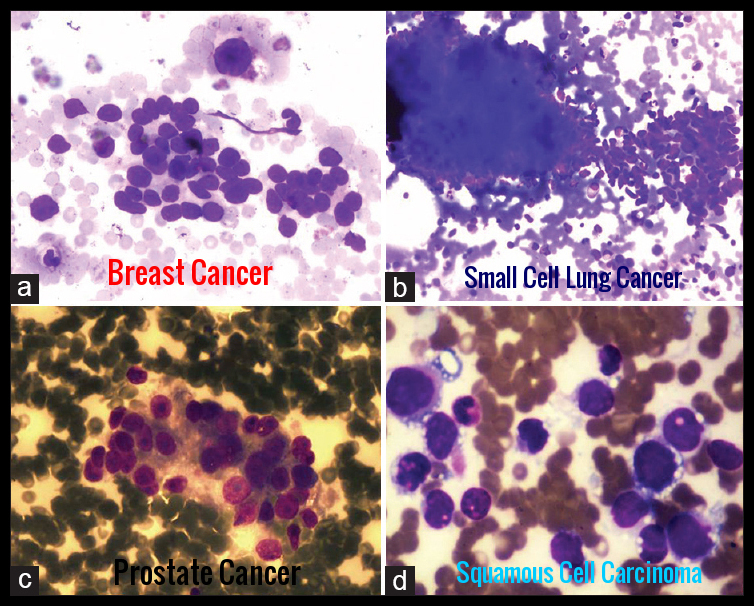 Some tumors can be clearly identified by cytochemistry. Adenocarcinoma cells, for instance, may stain with mucin stains. Other tumors can be very difficult to differentiate from hematological malignancies and cell marker studies may then be useful. The CD45 antigen is expressed on most hematological tumors but not other cancers. The presence of lytic and blastic lesions on skeletal radiographic films is common in patients with prostate, lung, or breast cancer metastases. 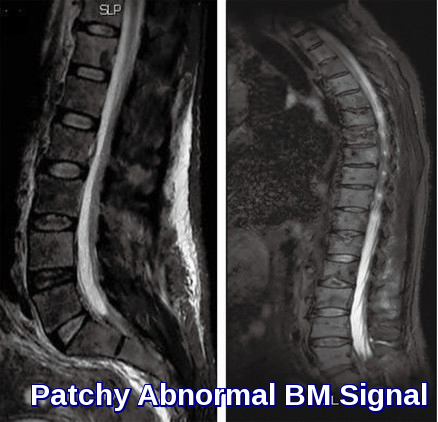 Bone scans are sensitive for detecting bone metastases, while magnetic resonance imaging (MRI) scans of the involved area can detect marrow infiltration. 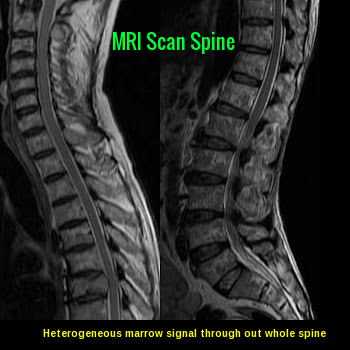 MRI can detect intramedullary infiltration in a highly advanced manner. It is also useful for the detection of tumor extension, associated soft tissue masses, and neurological compromise. MRI can increase the rate of successful bone marrow biopsies as it can assess a large volume of bone marrow noninvasively and relatively quickly. Treat the underlying disease and provide supportive measures for symptomatic patients. In malignant infiltration of bone marrow, mortality is dependent on the underlying condition. 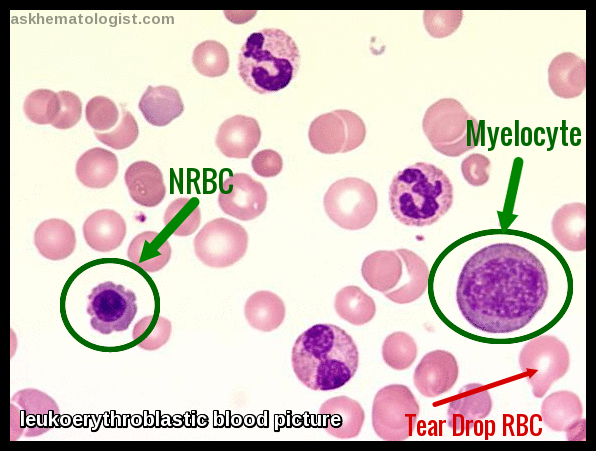 The leukoerythroblastic blood picture is often associated with imminent death in some extreme cases. Patients with varying degrees of cytopenia are at risk for infection or bleeding. Brochamer WL Jr, Keeling MM. The bone marrow biopsy, osteoscan, and peripheral blood in non-hematopoietic cancer. Cancer. 1977 Aug. 40(2):836-40. Delsol G, Guiu-Godfrin B, Guiu M, Pris J, Corberand J, Fabre J. Leukoerythroblastosis and cancer frequency, prognosis, and physiopathologic significance. Cancer. 1979 Sep. 44(3):1009-13. 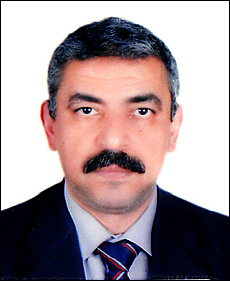 Emmanuel C Besa, MD Myelophthisic Anemia: Background, Etiology, Epidemiology and Prognosis http://emedicine.medscape.com/article/204647-overview Accessed: November 2015. Makoni SN, Laber DA. Clinical spectrum of myelophthisis in cancer patients. Am J Hematol. 2004 May. 76(1):92-3.
involvement by metastatic solid tumors. Cancer 39: 1337-1344.
needle biopsy. Am J Clin Pathol 70: 623-627. Malignant infiltration of bone marrow is most often seen in carcinomas of the prostate, breast, lung, colon, and neuroblastoma.